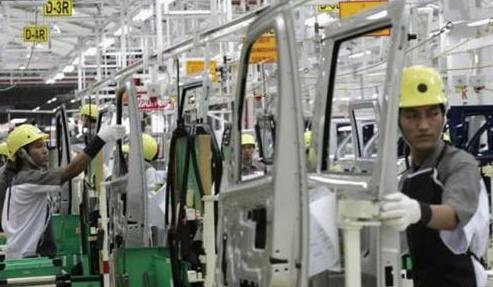 It is reported that Tata Motors' Jamshedpur plant in India has stopped production for three days starting this Monday. It is reported that this is the second time that the plant has suspended production in the past two weeks. The last shutdown was the last week of December 2012, and production was suspended for seven days. A spokesperson for Tata Motors stated that the suspension of production is to maintain a balance between output and demand. In 2012, the plant was discontinued for a total of 15 days. According to Chandrabhan Singh, secretary-general of the Telecommunication Workers' Union, the continuing economic downturn and high interest rates have resulted in weak sales of trucks in India. Last month, due to the accumulation of inventory, the plant's capacity utilization rate was only 40%. It is reported that the plant is currently responsible for the production of heavy-duty commercial vehicles (excluding engines, fairings). Sales of trucks in India have gradually decreased in the past year. Accumulated sales during the period from April to November have fallen by 16% year-on-year. Tata's truck sales in December were only 9,866 units, compared with 18,247 units in December 2011. Compared with a sharp drop of 46%, Ashcroft's sales also fell by 19% over the same period.